I think it fair to say that no one expected anything special from this match, still no rain, clear water, thick weed and above average temperatures didn’t bode well. To top it all there was a strong wind to hamper presentation, although as it was from behind it still allowed fishing close to the boats. 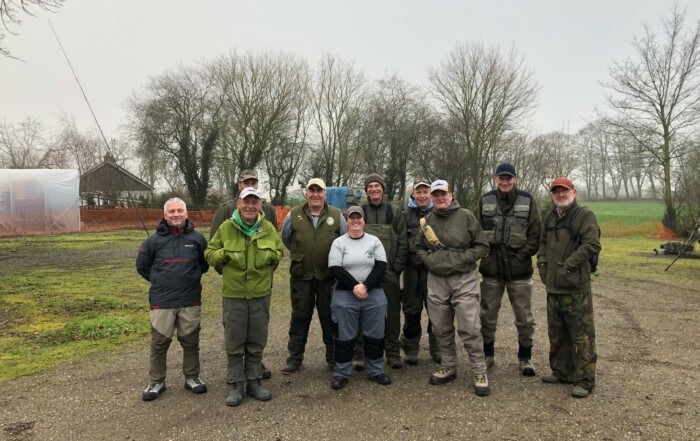 Nevertheless, the two end pegs, Kevin S on No 1 and Mike on 18 both produced over 11 lb for 1st and 2nd positions but only three other weights were over 6 lb. This time last year we averaged over 8 lb a man, this time it was only 4 lb. There were however some highlights, poor Trevor Sturge got off to a typically good start, his enthusiasm with a weed hook on his old carp pole resulted in a broken steel blade and a backwards fall, his fourth lost ‘rake’ in the past two seasons, three of them in The Lode! Resorting to his backup of the more conventional ‘iron rake on a rope’ he proceeded to recover part of one of his old rakes still littering the bottom, the bungee that had held it together. He also tried on a couple of casts to sink the boat opposite, the less said about that the better but we were cringing! John Read also amused us with his short shorts and bid for knobbly knees champion, the fish in his swim must have just seen a couple of white totem poles staring at them, it was enough to mean only just over a pound ended in his net! 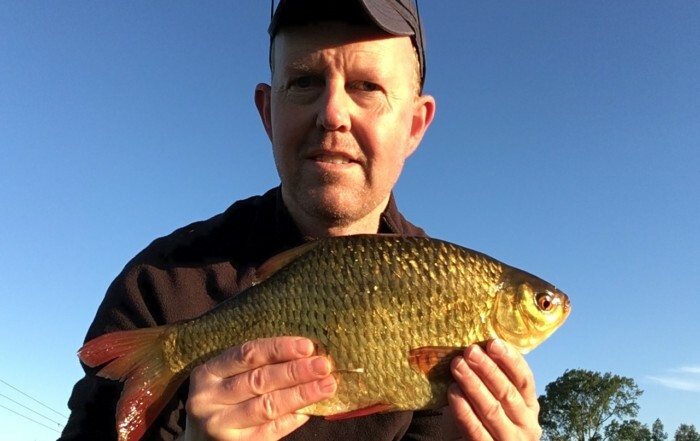 On a more serious note Gwyn Andrews is proving to be a bit of a Tinca, for the fourth match in a row he had yet another tench to boost his weight and secure third place, he is now leading the championship league by a clear 12 points. 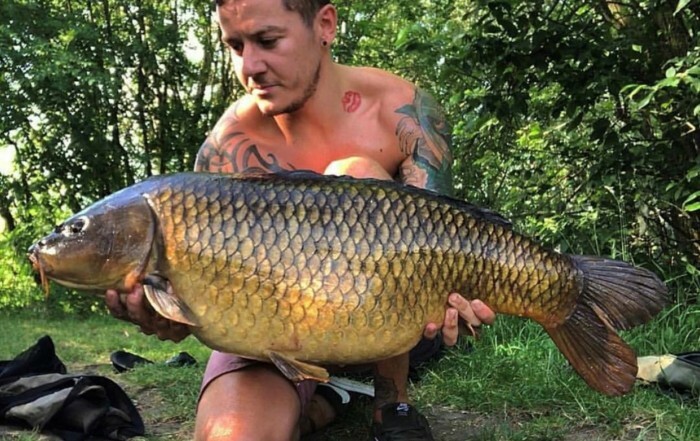 His persistent claims of “I’ve never fished this place, I need some advice” are clearly a false distraction and any suggestions to slow him down are welcome. I do have one apology, I was reminded that my last match report omitted to mention that when returning my fish after weighing I managed to also throw the weigh net into The Cam, this because wielding the long pole all day had paralysed my whole body and I’d lost all control. There were of course plenty of jeers but also willing helpers to recover the net so all was well in the end. Our next match on 30th September will be on The Lark at Prickwillow, which apparently is fishing quite well, this time last year Simon won with over 28 lb of rudd including a number over 2 lb. As usual please book your place via Trevor, details as per the club book.